We’d love your help. Let us know what’s wrong with this preview of Ugly by Robert Hoge. Robert Hoge was born with a giant tumour on his forehead, severely distorted facial features and legs that were twisted and useless. His mother refused to look at her son, let alone bring him home. But home he went, to a life that, against the odds, was filled with joy, optimism and boyhood naughtiness. Home for the Hoges was a bayside suburb of Brisbane. Robert's parents, Robert Hoge was born with a giant tumour on his forehead, severely distorted facial features and legs that were twisted and useless. His mother refused to look at her son, let alone bring him home. But home he went, to a life that, against the odds, was filled with joy, optimism and boyhood naughtiness. Home for the Hoges was a bayside suburb of Brisbane. Robert's parents, Mary and Vince, knew that his life would be difficult, but they were determined to give him a typical Australian childhood. So along with the regular, gruelling and often dangerous operations that made medical history and gradually improved Robert's life, there were bad haircuts, visits to the local pool, school camps and dreams of summer sports. Ugly is Robert's account of his life, from the time of his birth to the arrival of his own daughter. It is a story of how the love and support of his family helped him to overcome incredible hardships. It is also the story of an extraordinary person living an ordinary life, which is perhaps his greatest achievement of all. To ask other readers questions about Ugly, please sign up. How do I get this book? One of my friends at school read it, shared it for her book report, and now I'm really interested in it and want to read it. WHERE DO I FIND THIS BOOK?!??! phoebe♡ Go to a bookstore, or better yet, look online. I’m sure you’ll find an edition somewhere. What is the difference between this book and the one with the same name by the same author that will be released September 5? When Robert Hoge was born, his mother didn’t want him. She thought he looked too ugly, that he was, in appearance, a monstrous baby. Fortunately, her love of children made it impossible for her to abandon him in the end, though we also have his four siblings to thank for it. 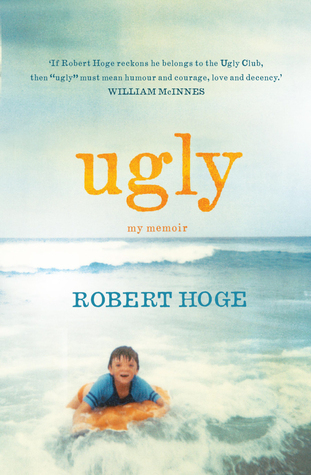 This is an insightful nonfiction book about the life of Robert Hoge, who was born ugly and grew up ugly. Throughout his childhood period, he undergoes different surgeries, comes across many obstacles and is faced with various decisions to make. If only this had been a Young Adult novel, instead of a Middle Grade one, I think there would have been more questions raised and tackled. It remains deep, but because it was written for a young audience, some parts feel contrived, more specifically the emotional parts, especially in the writing. But Robert Hoge is an inspiring fellow who never cessed to believe he could do things he was warned he couldn’t. He wanted to play a competitive sport, so he does. One would think he’d have trouble making friends, well he does. His parents are constantly worrying over him when they shouldn’t, because he’s a strong kid. It’s interesting, relatively moving and even a little humorous. I just hoped for more, for his story not to end at 14, that is. For more about his adult life and how his life now compares to the one he had when he was younger. How things changed or how they stayed the same, etc. Worth a read, however. I quite liked this! However, it felt a bit rushed near the end, and after such detailed accounts of Robert's younger years, I would have liked to know a bit more about his time between being a teenager and an adult. Otherwise a great book, especially for kids! If you know a kid who enjoyed Wonder, give them this next. Each one had something different about them. I just had different differences. Memoir is the writing of one’s life, this would be so hard to do considering your book is called Ugly and is what you are calling yourself. I take my hat off to this author for writing his story. Robert Hoge is 4 years older than I am, but that’s where the similarities end. He’s endured hardship to an extent that I cannot fathom, and holds his head higher than I ever could. Yes he’s inspiring, yes he’s resilient, yes Each one had something different about them. Robert Hoge is 4 years older than I am, but that’s where the similarities end. He’s endured hardship to an extent that I cannot fathom, and holds his head higher than I ever could. Yes he’s inspiring, yes he’s resilient, yes he’s a trooper. He’s a normal Aussie bloke that tells his story to a younger audience, he is someone that uses his adversity to carry a message. Robert was born with a huge tumour covering his face, he required numerous surgeries to construct a face he likens to a clay sculpture gone wrong.. Squashed by a giant clay splodge spread across the face. It has pushed so far into the front of the face that the beautiful eyes you made are now way further apart than they should be. The extra time you put into getting the size and shape of the head just right is totally wasted too. It’s bumpy and broken. Imagine what that sculpture looks like now and you’ll know what I looked like when I was born. Robert is a straight shooter, and states his story plainly, in an easy to understand manner. This edition in perfect for the younger reader. I read it after my 11 year old son. Young people want to talk about appearance and being different. It’s a central theme of their lives. Ever since the adult edition of Ugly came out I’ve had hundreds of conversations with kids about looking different and being disabled. Recommends it for: anyone who thinks THEY have problems! “When I was twelve I went on holiday to Sydney. One night I was alone in an elevator heading to dinner in our hotel. Two middle-aged ladies got in. One of them looked me up and down, then stared at my face long enough to make me look away. The other woman turned and stared at me too. ‘Yes, yes it is,’ she said. I stayed silent until the elevator reached the ground floor. Robert Hoge was born with such deformities that his mother, Mary, refused point-blank to see him and thought he should go into an institution as the doctors recommended. His father, Vince, wanted to bring him home but said it was up to Mary, since she’d do most of the work. So Mary decided it was time to explain to the other 4 kids exactly what was wrong with their new little brother. Everybody cried, but they all said Robert should come home. However, they hadn’t seen him yet, just heard Mary’s and Vince’s descriptions of the horrific tumour in the middle of his face and the half-formed, shortened legs. So off to hospital they went to see the new baby. Each child took a turn holding him, curious and interested, but they all seemed happy to accept him and wanted to take him home, so the decision was made. And they never looked back. He has had corrective surgery, has 2 prosthetic legs, and is as bright and personable and public a fellow as any mother could have hoped for. Plenty of struggles growing up, pain, schoolyard taunts (regular schools), great mates, schoolboy pranks (lots), girlfriends, and a very loving, loyal family. The first in his family to go to uni, he did his honours in English and Journalism but reckoned his real love was the newsroom. He jokes that he has a face for radio, but he loves writing and is quick and capable – perfect for journalism, where there’s little time to meet deadlines. He became a journalist and writer and has been a political speech writer, so reading his book is an easy pleasure. He’s included some photographs of some special times at various ages, and he seems to have been a joyous, happy boy. He’s also got a photo of his beautiful little girl. His condition appears not to have been genetic, but probably due to the anti-depressants given to Mary before she knew she was pregnant. I’ve seen him interviewed several times on television, and after a while, I seem to just accept his looks and don’t really think about it. I cannot imagine being one of those so-called ladies in the elevator. Un-bloody-believable! I hope he has a long career in it and we hear more of him and those ‘ladies’ figure out who they are and are suitably mortified. This truly is a very moving and inspiring read and one in which I won't forget. Mary Hoge went into labour on the 21st of July 1972 and endured a long and difficult labour. On Sunday 23rd of July 1972 she gave birth to her fifth child Robert Hoge. After he was born Mary asked if her baby was alright and the doctors reply was no. Of course no parent wants to hear that straight after giving birth. Robert Hoge was born with a large tumour on his forehead which ran all the way down to the tip of wher This truly is a very moving and inspiring read and one in which I won't forget. Robert Hoge was born with a large tumour on his forehead which ran all the way down to the tip of where his nose should've been. He was also born with deformed legs. The right leg was three quarters as long as it should have been and it had a small foot that bent forward at an odd angle with only four toes. The left leg was evens shorter and only had two toes which were both malformed. Mary thought that perhaps her son would die, but her husband Vince believed he was strong and healthy and that he would live. Both Mary and Vince were very upset but it was Mary who didn't want to look at her son and nor did she want to take him home. Once Mary was well enough she left the hospital but she did not take her son with her. Mary and Vince's other children enquired as to where their baby brother was and they were told exactly what was wrong with him. The children all agreed that Robert should be brought home where he belonged and so their parents ended up bringing him home. Introduction: I received this book for free through Goodreads First Reads. When I read the synopsis of this novel I was incredibly intrigued. A memoir of the life of a child that went through surgeries due to birth defects seemed realistic and interesting. Most school aged children (and even adults) feel like they don't fit in, so reading a story about a life long battle with trying to fit in and how Robert Hoge managed to keep going made my heart warm. Quick Summary: Robert Hoge was born with a few issues - he had a tumor on his face and his legs did not form correctly. As a small child, he went through surgeries to remove parts of his legs (to the knee and above the knee), remove the tumor on his face and realign his facial features to appear more 'normal'. Throughout his life Robert had to learn how to adapt - like walking with mechanical legs, deal with bullying, and making life decisions regarding future surgeries. This story is uplifting and inspiring to read, and this version of the story is written as a kid friendly story. Evaluations: I loved this book - it was inspiring, beautifully written and aimed at the right audience. This easy read was made so children would be not only interested but able to understand. Robert Hoge uses metaphors and similes to explain how it feels to be different, which I think will help the audience grasp a better understanding. Overall, I'm impressed. I would definitely suggest that anyone read this novel, and if possible that school's should adapt the book into their reading curriculum. If more people understand, perhaps there would be less bullying and hate in this world. Plot: The content of this story revolves around Robert Hoge's life and his struggles. It starts from when he was born, to when he was in his pre-teens. If anything, I would have liked to see what his struggles look like now, but I don't know if that would have worked with the audience he was writing to. Children want to hear about lives similar to theirs, so perhaps it was for the best. The plot moves quick enough to keep the reader interested. I was more than impressed with how the story was adapted - a child could easily read this book and understand, but as an adult I also enjoyed the novel. It's hard to find stories that translate well for both kids and adult. I applaud Robert on how well he wrote this story. I haven't been able to find any problems with the story itself. It's a great narrative with lots of substance - not only is there a story to be told, but Robert explains how he feels, and how the reader might feel. His metaphors work well with the audience - making a clay head that's perfect, but suddenly there's a giant piece of clay in the middle - and he continues to reference them throughout the novel for further understanding. Characters: The "characters" of the story are mainly Robert and his family, with a splash of friends, schoolmates, doctors and teachers. All the characters are realistic in the setting (and of course they are all real life people as well). You can't tell if they were portrayed the way they actually were, but everyone seems to be acting realistically. No character seems out of place or unrealistic within the context of the story. Robert's character (of himself) also acts realistically for his age. I've found in some memoirs that when the author writes about themselves that the child version of themselves acts like an adult. Child Robert acts like a child, which is refreshing. Little Robert isn't having intense emotions similar to an adults, he is acting and thinking like a child throughout the novel. A+ for characterization! Themes/Creativity/Uniqueness: If this novel would have been Young Adult or aimed at the Adult audience (which Robert Hoge has an "Adult" version of this novel that you can also check out) there probably could have been more themes implemented. This book doesn't deal with some of the emotional pain and bullying that most likely happened. The pain isn't discussed as much as it probably happened, either. But, this book wasn't aimed at an audience that needs to feel that pain just yet. For the audience it's made for, it does it's job. It explains how he was bullied and puts a light spin on the names he was called. The main theme of this story seemed like "Be yourself" or "Nobody is perfect". Robert could have gotten more surgeries to look more "normal" but he didn't want to. Why would he want to go through more pain, time out for surgery, and the possibility for further injury just to look "normal". Everyone has their differences, and Robert constantly highlights this throughout the book. Nobody is truly normal - there are individuals with physical, mental, physiological and psychological changes out there. There are no two people alike - even twins are different with their personalities and interests. If people weren't quick to judge and accepted differences, perhaps this world would be a better place. Overall, the themes and creativity within this book were tremendous. Yes, I would have liked Robert to expand on many topics, but this book wouldn't have adapted well for children if he did. Strengths: Robert's ability to write to a younger audience but have an adult audience enjoy the book as well is perhaps the greatest strength. He rivals JK Rowling with that ability, and he deserves the recognition. He also deserves a lot of credit for being able to write a story about being different and have it so warm-hearted. He put such a wonderful spin on something that could have been very terrible for him. I appreciate his work, and he deserves lots and lots of press for this book. Weaknesses: His weaknesses within this book are mainly the themes and context that readers wanted - but readers need to be aware that this specific version of the story was adapted for children. Yes, I would have liked to see more of the struggle of his story and understand what he went through (the bullying, the pain, the thought process), but children don't always understand those aspects of an adult's story. Adults understand adults, children do not understand adults. Robert Hoge is a guy I see at science fiction conventions, I don't know him very well, so my curiosity was piqued when I saw he had a memoir coming out. I learned a lot about Robert by reading his memoir, and am sure his book will interest many readers whether they know Robert or not. In some ways the title and beginning of the book are confrontational. So many of us are ugly in so many different ways, and feel we belong to what Robert refers to as "The Ugly Club"; outsiders, people to be picked Robert Hoge is a guy I see at science fiction conventions, I don't know him very well, so my curiosity was piqued when I saw he had a memoir coming out. In some ways the title and beginning of the book are confrontational. So many of us are ugly in so many different ways, and feel we belong to what Robert refers to as "The Ugly Club"; outsiders, people to be picked on. Robert was born with a tumour on his face that severely altered his facial features. His legs were also severely deformed. (I never realised how badly until I read his book, but then it's never concerned me.) His mother rejected him at birth, but reconsidered and accepted him as her own. His father seems to be everything good about the typical Australian male. This is not a book about heroes overcoming all adversities, but I particularly liked the (to me) typically Australian outlook on life: you just make the best of what you've got. By his own account, and with more than a dollop of a very dry sense of humour, Robert was a loud, cheeky kid, who got into just as much mischief as any other boy his age. I particularly liked his recollection of sand-papering his school desk so much he managed to sand a hole in it. As you'd expect for someone who's been a journalist and a political speechwriter, he writes well. His style is casual, friendly and easy to read. There's a smattering of science-fiction mentions - for some reason I was expecting more - and he's had some remarkable highlights in his life (including being friends with writer Hugh Lunn, who is a bit of a hero of mine). All I can say about the book's ending is that if you don't find yourself crying happy tears, there's something wrong with you. And Hoge is still quite young - giving himself plenty of time for a second book of memoirs. This book was well written and easy to read. Robert's voice is humorous and honest. I'm sure it will resonate with kids as it did with me. I will be recommending it at my school library. I am incredibly glad that Penguin Random House decided to send me a copy of Roberts story. It's a very honest account of what's it's like to grow up with a disability. He wasn't born with a physical advantage in life and has a great attitude about it. I love that this is written for younger readers and I will be recommending it for sure. Don't remember why I picked up Ugly, a disability memoir by Australian author and SF fan Robert Hoge. It was OK. I may go look for his TED talk to see if he's more compelling in that venue. It's a great book to show kids it's okay to be different, you just have to know how to own it. I was extremely interested in reading this as I have known Robert for many years as someone interesting to talk to at Science Fiction Conventions. I had always wondered about his looks but being a politely brought up young lady, had never asked before exactly what had caused them. His memoir is a poignant, witty, self-deprecating look at life for the not-so-normal looking. I laughed with him, I cried with him, I marveled at how much his childhood memories mirrored my own as we grew up in similar I was extremely interested in reading this as I have known Robert for many years as someone interesting to talk to at Science Fiction Conventions. I had always wondered about his looks but being a politely brought up young lady, had never asked before exactly what had caused them. His memoir is a poignant, witty, self-deprecating look at life for the not-so-normal looking. I laughed with him, I cried with him, I marveled at how much his childhood memories mirrored my own as we grew up in similar decades, although I grew up in country Victoria and he in Brisbane. Some world events that had great impact on him had not even crossed my radar, but you can see that the personal strength he gained from being different has had a profound effect on his life and confidence. I look at my life, at opportunities missed because of timidity and lack of confidence and I realise that if I had an ounce of his bravery and love of life I would be a very lucky person. Billed as "the true life Wonder story" this book documents Robert Hope's life as he learns to "own his ugly face." Hoge was born with a tumor in the center of his face, and under went extensive facial surgery at the age of four to fix his appearance. Hoge narrates his experiences in school and in life as he struggles to fit in. Told with wit and sincerity, this is a great book to teach kids empathy towards those who are different. This was a memoir about a man who was born with facial deformities and undergoes many surgeries to look as "normal" as possible. He was often stared at and teased about his looks. While this was a decent book in general, it just wasn't what I thought it would be. An amazing true story that resembles Wonder! I really wanted to like this book. The illustrations were interesting and the overall story is heartbreaking, but the way it was written prevented me from really connecting with the work or taking anything away from it. It's a very sad story, but cut off abruptly and the writing itself was too basic for me. Fans of Wonder will enjoy this true story by Australian Robert Hoge about what it was like to grow up with a facial deformity and disability. This that rare nonfiction biography that kids will read. The I llustrations interspersed throughout the story were perfect. Narration takes a dive after a promising start. Nonetheless I enjoyed the matter-of-fact tone and the glimpses into the key episodes in his life. coping with surgeries and deformities. Its a great choice for middle grade and even as kidlit. this book is about how one ugly kid has to learn to get along with his uglyness and make life or death choices. Well, this is going to be popular as a companion book for Wonder. It's an interesting story, but I think this edition for young readers was just chopped from the original, not adapted. The story makes some big leaps and doesn't flow like it should. Which is really too bad. I'm impressed, not just that Hoge chose to tell the story of his life (including the fact that his mother didn't want to take him home for a month after he was born), but also that he chose to tell it for a middle grade audience and did it — in my opinion — very well. He talks in a matter-of-fact way about both his facial differences and his physical disabilities due to his deformed legs, using simple but not condescending language. He talks about being teased and being stared at, but he also ta I'm impressed, not just that Hoge chose to tell the story of his life (including the fact that his mother didn't want to take him home for a month after he was born), but also that he chose to tell it for a middle grade audience and did it — in my opinion — very well. He talks in a matter-of-fact way about both his facial differences and his physical disabilities due to his deformed legs, using simple but not condescending language. He talks about being teased and being stared at, but he also talks about learning to do handstands with the neighbor girls, playing pranks on his schoolmates, and finding — after many attempts! — a physical activity that he could excel at. He has a dry sense of humor that made me laugh out loud multiple times. Although I think Wonder is also a good book, I can see a lot of reasons to hand this book to middle-grade readers instead if you really want to have a conversation about facial differences. The book holds up as a memoir for adult readers as well, though overall it's not as strong as a lot of other memoirs I've read. There are stories that Hoge includes for no apparent reason except that he happens to remember that moment from his childhood; these don't tie in to the rest of the book in any way or have any sort of punch line to explain their inclusion. Since the book is pretty short, it doesn't take away too much from the overall impact to have some filler stories, but it did mean there were unnecessary weak spots in the book's flow. Hoge's story provides lots of food for thought about the way we as humans think about physical appearance and disability. For example, he says that before his parents decided to have him undergo a massive operation on his face, they wanted to make sure he had normal intelligence; if he'd been intellectually disabled, they wouldn't have bothered. There's a lot of discussion about trying to make him "normal" and how his face will impact his opportunities in life. It forces the reader to think about what they would do in a similar situation, both as parents and, at the end, when Robert himself has to decide as a teenager whether to undergo one final large operation. When it's not a medical necessity, can it still be considered a social necessity? Hoge narrates the audiobook himself, so it wasn't the most compelling narration (authors who aren't actors rarely have the best narration), but you get to hear his Australian accent and hear him talk matter-of-factly about the difficult parts of his life. Speaking of his being Australian, I was a bit confused about the audience for the book, because at times it seemed to have been American-ized, using American words or explaining things in American terms, but at other times the words and phrases used were still distinctly Australian. (For example, I had to look up what "running writing" means — it's cursive.) Perhaps it was meant to split the difference and be understandable to Australian and non-Australian readers? Ugly is a book I should have read a long time ago. A LONG LONG TIME AGO. I really feel that my middle-grade self would've been obsessed with this kind of book, as it is a real story and a memoir where we readers get to read about Robert Hoge's life as an individual with a disability. I loved Hoge's narrating skills and the way he described his struggles; I can definitely say that I felt my heart break a few times whil This review can also be found on A Thousand Lives Lived, check it out for more! Ugly is a book I should have read a long time ago. A LONG LONG TIME AGO. I really feel that my middle-grade self would've been obsessed with this kind of book, as it is a real story and a memoir where we readers get to read about Robert Hoge's life as an individual with a disability. I loved Hoge's narrating skills and the way he described his struggles; I can definitely say that I felt my heart break a few times while reading this, making me wish that I was there to comfort him when he was a little boy. This was just an overall great, quick (the best part of the experience) read that I will never forget. If you can, recommend this story to any tweens (seventh or eighth graders) if you can. Robert Hoge's story is an important one, showing readers how he struggled with his identity as a child and how he tried to understand his limitations. I would say that the seventh/eighth grade audience is the perfect age group for this story; I do wish that it was intended for YA readers, however, because this lacked the emotional aspect of these kinds of stories. Hoge told his story and some of the feelings he had as a kid, but not all of my questions were answered, especially about how he handled his issues as an adult. The story, towards the end, also felt a bit rushed, but I really did enjoy reading this fresh story that should be more publicized. More people should really give this one a go; if you enjoyed Wonder, this will surely be a form of enjoyment for you. You see, I'm not much of a middle grade reader. I obviously used to adore that genre, however, I normally do not pick up those books these days as I find that they don't usually fit my interests. Nevertheless, to re-emphasize, this book was different. I highly recommend grabbing it and spending two hours and one sitting reading it. I'd like to applaud Robert Hoge and the publisher of this book for creating such a great read. It's always refreshing to hear about authors' perspectives on their own personal struggles, and Ugly was a success. Ugly is an inspiring young adult novel due to its positive perspective and outlook on life regardless of challenge and doubt. This book reveals how an individual named Robert overcame the struggles given to him in his life. He was born with a very large tumor in the center of his face and very disfigured legs, both of which needed extensive surgery. This book goes to show how any challenges can be overcome when effort and persistence are implied. The author reveals his difficult and trying past in a very real and heartfelt way through this memoir. This is a novel that should be taught and talked about. It would work well for a read aloud for a whole class in the upper elementary age group setting or as a classroom set reading. You can easily create a lesson on bullying or persistence to go along with this story. For this book, I would discuss what it means to be persistent. After forming a brief discussion, I would have students give examples of how Robert overcame his disabilities and pushed himself in life. After giving time for the groups to read, we would then come together in a class discussion around the topic of persistence. Here we would cover how showed persistence through his physical and mental challenges he encounters throughout his life. Once our class discussion was concluded, I will have students draw a picture of a time where they thought they were "ugly" and struggled in seeing their own beauty or success. For this writing piece, I would like them to explain a time or period of time in which they felt "ugly", what decision they made accordingly. A memoir, written at a level that children can read and understand...can't think of another I've read....Robert Hoge is from Australia...has made a good living writing...and so he tackles his own memoir. Robert is the fifth of five children, and was born with several deformities. He had a huge tumor (huge for a newborn) on his face, obliterating his nose, and neither leg was correctly formed...his mother was unable to even look at him at first. And thus begins one of the most honest books I've re A memoir, written at a level that children can read and understand...can't think of another I've read....Robert Hoge is from Australia...has made a good living writing...and so he tackles his own memoir. Robert is the fifth of five children, and was born with several deformities. He had a huge tumor (huge for a newborn) on his face, obliterating his nose, and neither leg was correctly formed...his mother was unable to even look at him at first. And thus begins one of the most honest books I've read. Robert's story is about surgeries and recovery. About going to school. About facing bullies...he has an interesting chapter about names classmates called him. He rates them on originality, hurtfulness, humor...and how they make him feel. His analytical approach to bullies could be very helpful for other children who are struggling. Robert wants to belong, to play sports, to smile and laugh with his buddies. He wants control over his own life....and ultimately he DOES take control in a very courageous fashion. The writing is clear and child-like...which will appeal to the audience he's trying to reach. Robert was born with a tumor down the middle of his face and other physical deformities. He needed many surgeries to make his life just livable. Even though his mother was reluctant to know her baby at first, she become his fiercest protector soon after. Robert gives us an honest look at life with his face, especially when the kids at his school called him “Toe Face” after a reporter told his nose reconstruction using cartilage from his amputated foot. Thought the drug is never mentioned by name, I’m pretty sure Robert was a victim of thalidomide. I love that Robert is heart-felt and honest without being crass or inflammatory. All of this is compelling to read, but take a special look at the list of nicknames he remembers with the chart of how much power they had (have) over him. An excellent companion to Wonder. I am sorry I let this linger on the shelf and didn’t tell you about it much earlier.